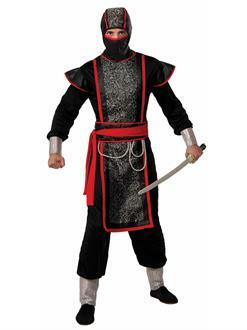 Step into the temple of Shaolin with this ninja costume. With a decadent front layer, this Ninja Master Costume will have everyone amazed at its authenticity. The hood also covers your entire face but your eyes to achieve optimal stealth. Grab this today, and be prepared to fight.